We offer a full range of Hillsborough property management services tailored to you as an investor, homeowner, or landlord. 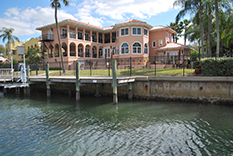 We have an extensive portfolio of single family homes, townhouses, condos, and apartments in the Hillsborough area. Hillsborough is the largest county in the metropolitan area (1.266 sq miles), with Tampa forming the region's hub, and the fourth most populous county in Florida (1.23 million). It was created on January 25, 1834 from Alachua and Monroe counties and named for Wills Hill, the Earl of Hillsborough and British Secretary of State for the Colonies from 1768-1772. The county's original boundaries included the present-day counties of Charlotte, DeSoto, Hardee, Manatee, Pasco, Pinellas, Polk and Sarasota. The last significant change in Hillsborough County's borders was the separation of its western section to create Pinellas County in 1911. The modern boundaries of the county place it midway along the west coast of Florida. 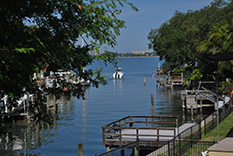 A narrow strip of the county extends west to the Gulf of Mexico along the Tampa Port Shipping Channel, keeping Hillsborough County from being landlocked (there is approximately 158.27 miles of shoreline on Tampa Bay). The central portion of the Sunshine Skyway Bridge is in Hillsborough County as is Egmont Key at the entrance to Tampa Bay. This narrow strip of land separates Pinellas County from Manatee County. Hillsborough is home to Alafia River State Park and Hillsborough River State Parks, as well as the C. W. Bill Young Regional Reservoir.